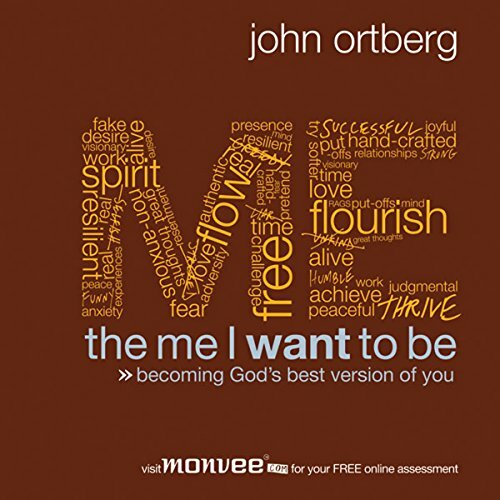 The Me I Want to Be by John Ortberg—the bestselling author of When the Game Is Over, It All Goes Back in the Box; God Is Closer Than You Think; and The Life You’ve Always Wanted—will help you discover spiritual vitality like never before as you learn to “live in the flow of the spirit”. But if God has a perfect vision for your life, why does spiritual growth seem so difficult? 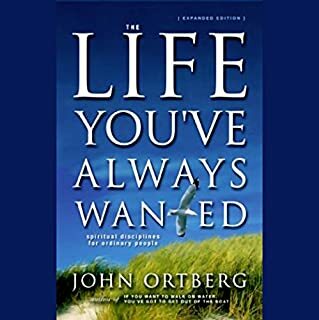 John Ortberg has some intriguing answers to that question, and he has organized his thoughts and God's words into a straightforward and timely guide for living your best life in The Me I Want to Be. This book will show how God's perfect vision for you starts with a powerful promise. All those who trust in God "will be like a tree planted by the water that sends out its roots by the stream. It does not fear when heat comes; its leaves are always green. It has no worries in a year of drought and never fails to bear fruit" (Jeremiah 17:7-8). 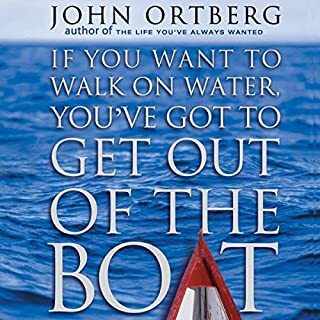 Ortberg urges you to recognize your brokenness, understand that God is the project manager, and follow His directions. The author first helps gauge your spiritual health and measure the gap between where you are now and where God intends you to be. Then he provides detailed tasks and exercises to help you live in the flow of the Spirit, circumventing real-world barriers—pain and sorrow, temptations, self-doubt, sin—to flourish even in a dark and broken world. As you start living in the flow, you will feel a deeper connection with God; a growing sense of joy; an honest recognition of your brokenness; less fear, more trust; a growing sense of being “rooted in love”; a deeper sense of purpose God invites you to join Him in crafting an abundant and joy-filled life. The Me I Want to Be shows you how to graciously accept His invitation. I have struggled long in my Christian life with slow or no growth and guilt. Being brought up in a fundamental church by a father who while sincere, was into formalism and outward appearances of the Christian, understanding and applying grace in my life has been difficult. The Me I Want To Be connected with me. Helped me better understand the role of grace in my life and the transforming of my character. Another good book on a christian walk that emphasizes humbling yourself before God so that HE will exalt you at the proper time. I will be getting other books by this author. The audio was decent, done as well as any other books I have listened that are read by the author. I thoroughly enjoyed the author's sense of humor and appreciated his humility. This book gave me a new perspective on the Holy Spirit and taught me a better way to handle problems that arise in my everyday life. Everyone should listen to this at least once. I am keeping on my mp3 player to listen to again and again. This is a great book. 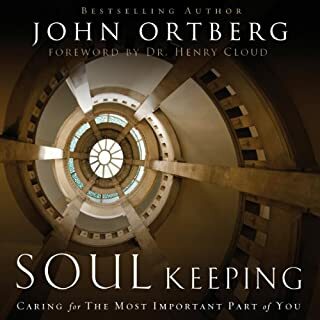 One thing to be aware of is that they have the tags wrong and this shows here that it is written and read by John Ortberg; when I downloaded it, it shows the author is Thomas C Oden and the narrator is John Ortberg; the truth is that it was written by John Ortberg and narrated by Thomas Oden. It's not a big deal to me, but it is somthing I wish they would correct. 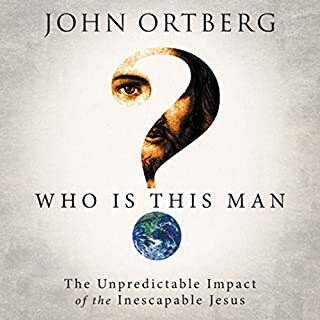 As for the book itself, John is serious about many things but has a great sense of humor that makes this a joy to listen to and packed with wonderful lessons. I highly recommend this book. It isn't a one-size-fits-all, feel-good book. Practical and entertaining. Be the person God wants you to be. I enjoyed this book very much. From the title it seems it would be about being selfish, it is not. A lot of wisdom, honesty, really great. Enjoyed his voice also. I highly recommend it. Certain revelations come to a person when needed, this was one of them. Great book! We are going to use this in our small group. The stories that he used to illustrated his points were memorable. Would you listen to The Me I Want to Be again? Why? This is one that I will listen to again from time to time, mostly because it's a great book to reflect on. Becoming God's best version of ourselves isn't going to happen over night, so practice and reflection is required. If you could sum up The Me I Want to Be in three words, what would they be? 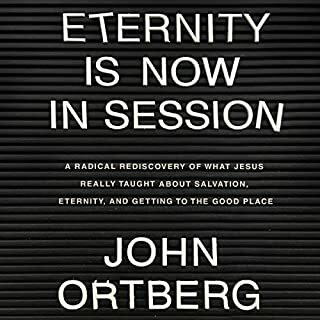 John does a great job of communicating Biblical truths that are not dry, irrelevant, or holier than thou. The author is speaking to me, not down to me. 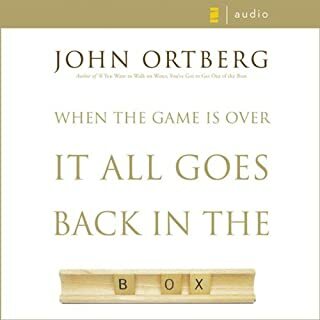 What about John Ortberg’s performance did you like? There is no doubt that John is speaking from firsthand experience in this book. In addition, his knowledge as a psychologist helps him relate to people better than theologians. This is one of the best books I have read (listened to) by a modern author. It's challenged and helped me with my relationship with God, my wife, family, co-workers, etc. My wife has also been very encouraged by it! I highly recommend it! Also, it's great that the Author is the narrator. It's very direct and almost devotional in focus. It's very application oriented. Which character – as performed by John Ortberg – was your favorite? Love that the Author himself reads it! What did you learn from The Me I Want to Be that you would use in your daily life? It's helped me in my walk with God, in my marriage, in my co-worker relationships and in my work. I've been challenged and encouraged more by this book than any thing else in the last year! I plan to listen to it multiple times. What I enjoy about Ortberg is his honesty... He is not a stuffy religious leader but a fellow traveler who wants to faithfully follow God... Ortbeg is well read, Biblical, supports his points well, logical in his approach, has a dry sense of humor, and seasons his chapters with great stories... and many of his stories are personal stories right out of his life. A fine Christian writer... He has a passion to help others grab a hold an authentic relationship with Jesus... He has found a niche, that is, if you are hungry for God and desire to grow in your faith. A friend of mine told me about this book and ive been meaning to read it. I never have the time until i found out about audible. I thought listening to a book wouldnt be that great. The author of this book reads it and i love it. I listen to it at the office and im listening to it for the 4th time, it doesnt get old. everyone at work loves it too! it kept me listening. got through out much quicker than if i was reading text. Enjoyed listening to a book read by the author. Changed some things in my life due to this book. Thanks John. Really enjoyed listening to this book. He points out what's important, what priority and also what hinders us from being the me I want to be. I'll be listening to this book in future again. great book... well put together. just get. you can be what you whant to be. I have completed this audio book for the umpteenth time and each time it gets "gooder and gooder"
I found the style of writing is attractive.. I felt the author got the balance right between theologiy narrative and scriptural application. I found the book easy to understand and deeply profound. Highly readable. If it is possible to choose a highlight of the book it would be the forgiveness theme when 3 soon to be missionaries and the witnessing audience experience forgiveness. That blew me away. Also the section in which the author grappled with the dilemma of the church being a place for confessing sin rather than hiding sin under a veneer . I am likely to reread many many more times as I seek to be " the me God wants me to be"
What was one of the most memorable moments of The Me I Want to Be? Which character – as performed by John Ortberg – was your favourite?